Johnny Devine is a practicing attorney in the state of Florida who for over 15 years has gained extensive experience in personal injury cases, criminal cases and tenant/landlord cases. 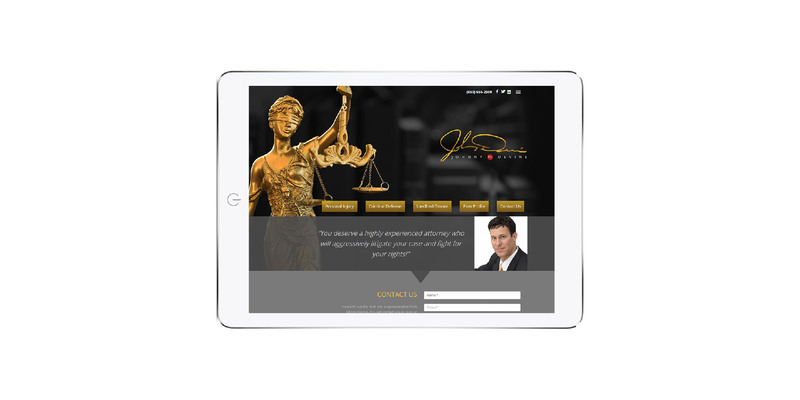 As an attorney, Johnny Devine required an informative website that established his credentials and his expertise in his different specialty areas. Johnny Devine is a longtime client of Kidd Group/3W Studios and recently required a total redesign of his website, which has since been launched. His new website includes a more extensive explanation of what to do when certain incidents happen such as an auto-accident or animal attack, as well as his background. 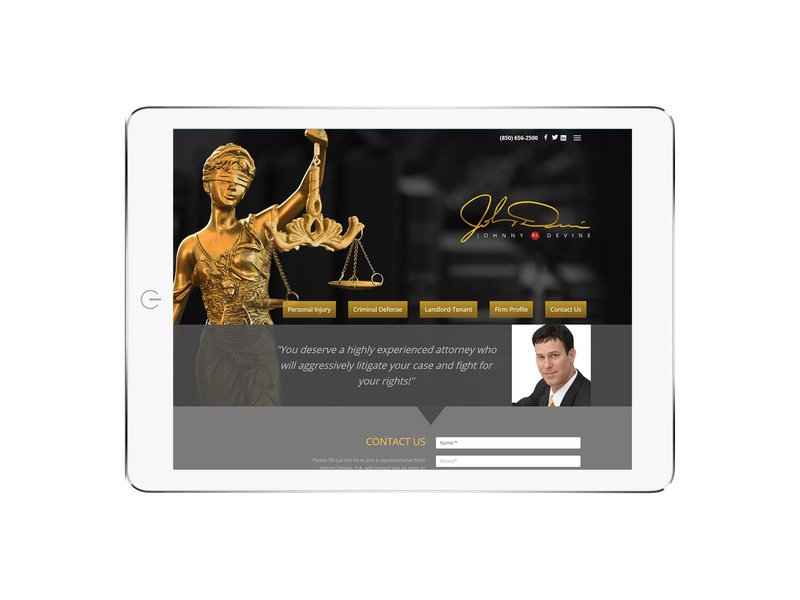 The website features lady justice in the new design, as well as embedded videos that present Johnny Devine speaking about his different specialties in a courtroom setting. Overall the website is very easy to use and provides users with the ability to quickly and easily get into contact with Johnny Devine in their time of need.